Ivana completed her Bachelor of Arts with Honours and her Masters in Criminology and Criminal Justice at Griffith University. For her PhD (School of Arts, UNE), she studied the dialogic subjectivity in Krzysztof Kieslowski’s Three Colours Trilogy, which combines her passion for Philosophy, Film and Cultural Studies. 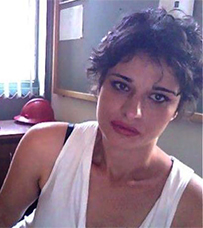 Ivana has taught and coordinated a variety of units in criminology, film and media studies. “Through Bakhtin’s Lens: Music and Authorship in Krzysztof Kieślowski’s Three Colours: Blue”. Journal of Film Music (submitted).